Born Girma “Jahleel” Davis in Kingston, Jamaica, he is musically known as Kazam Davis. 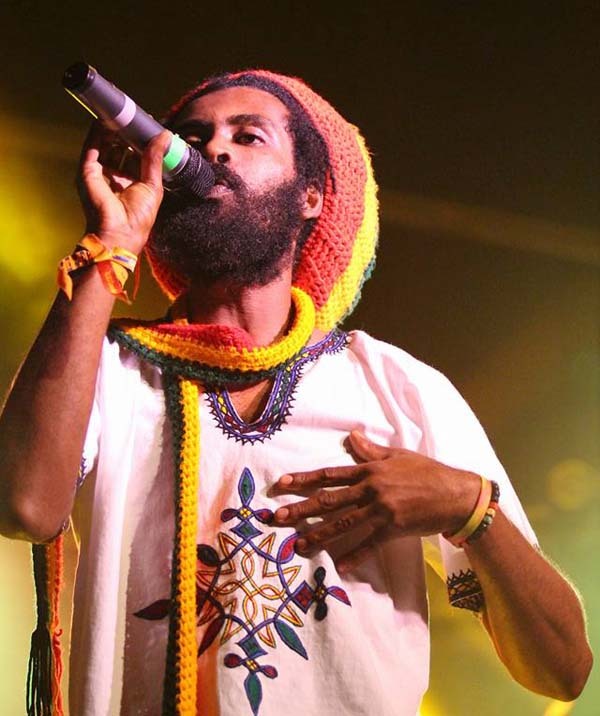 A humble Rastafarian father and husband, hailing from the Twelve Tribes of Israel, Kazam has a promising music career which was nurtured throughout his youthful years. He often recalls singing for family and friends and later taught himself to play the guitar. The tall, always smiling shepherd of a small herd of goats likes to spend his little “off-time” in his garden where he cultivates his own organic food. With an authentic sound, a powerful message and a humble spirit, the tall, Ancient Warrior is a musical force to be reckoned with whose main purpose and aspiration is to spread the message of Jah to the corners of the world. Over time, constant hard work has cocooned his sound into a beautiful combination of works highlighting his versatility. His music reveals an inner spirit that has the need to make a positive change. His mission is about spreading peace and love through conscious lyrics. His message resonates with people from all facets of life, as he believes his music isn’t molded to meet a certain crowd or audience; it is a motivation within him. Get to know this Musical and Ancient Warrior Kazam Davis.